Russia investigation special counsel Robert Mueller’s findings may never be read by lawmakers or the public, according to a report detailing how Attorney General William Barr may provide a summary of its findings instead. Barr does plan to provide some information to Congress, in a timeline that will take weeks, not months, according to his office. Yet reporting from the New York Times suggests that he may not provide the actual report that Mueller wrote to lawmakers. As attorney general, Barr has the legal right to redact information from the report he believes may hamper other investigations or otherwise be for the government’s eyes only. His discretion for doing so gives him tremendous leeway for determining what can or cannot be seen within the report — including not releasing the report itself if he decides. The possibility that the full report wouldn’t be made available to them would likely upset many Democratic lawmakers on Capitol Hill, including the chairs of several committees. Barr can't get away with this. Following Mueller’s submission of his report to the attorney general, Barr wrote a four-page summary of its key findings, noting that Mueller found no evidence of collusion between President Donald Trump and the Russian government. Mueller gave no opinion on the question of Trump possibly being charged with obstruction of justice. “[W]hile this report does not conclude that the President committed a crime, it also does not exonerate him,” Barr quoted Mueller as writing in his report, within the four-page letter Barr released to the public, per reporting from the New Yorker. That didn’t stop Barr from opining on the subject himself. Barr decided, in his letter, that the evidence in favor of a crime of obstruction was lacking, and determined that charges or other actions against the president weren’t warranted. Democratic leaders in Congress want more than a four-page letter from Barr, however, and in their own letter told the attorney general that it was “not sufficient for Congress” to be given only a document that summarizes the larger report’s findings. Six Democratic committee chairs in the House demanded from Barr that the full report is made available to them within the next week, according to a report from NBC News. Many questions still remain about the Mueller report. 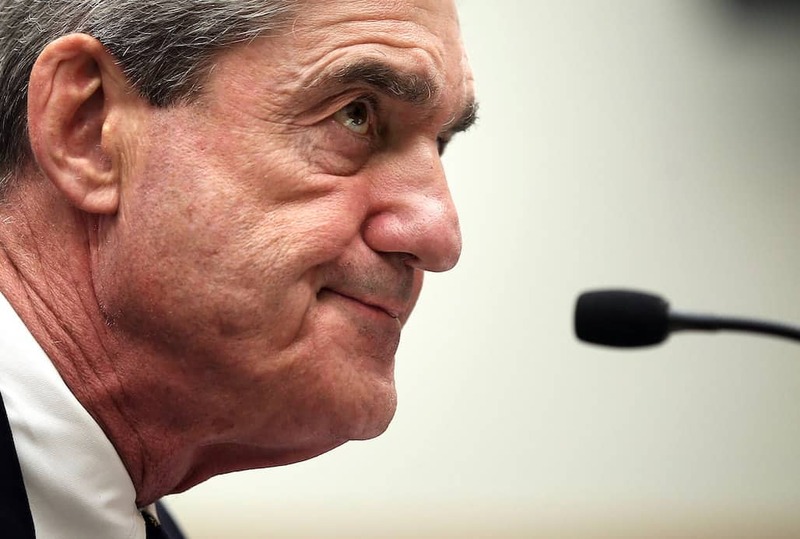 What evidence that Mueller found of possible obstruction is likely to be on the minds of many, as recent numbers demonstrated that 53 percent of Americans believe “Trump tried to stop investigations into Russian influence on his administration,” according to a Reuters-Ipsos poll taken after the release of the Barr letter.